GoGardenNow - The Gardening Blog: Is it too late to force narcissus for Christmas bloom? 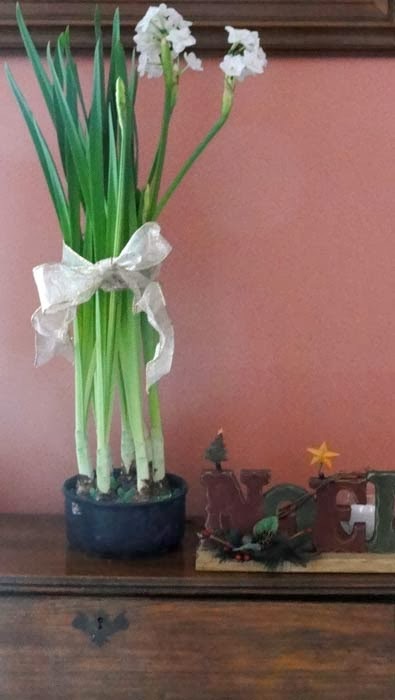 Is it too late to force narcissus for Christmas bloom? Q. I would like to force bowls of paperwhite narcissus for Christmas gifts. If I start them now, will they bloom in time for Christmas? A. Once placed in bowls and watered, it usually takes about 3 weeks for paperwhites to bloom. If you start them today, they might be in bloom by New Year's Day. But that doesn't mean they won't be appreciated if given as Christmas gifts. Your gift recipients will have the pleasure of watching them come into full flower. Is it too late to plant fall bulbs?